Extensive testing, on Z750 turbines located in the midwest, confirmed the source of a “hang-up” problem that plagued the operation of these turbines during periods of lightning activity. That problem resulted in loss of communication between the down-tower controller and the up-tower variable pitch controller. Returning the turbine to proper operation required a visit by a technician to cycle power on the variable pitch controller. The solution to the hang-up problem is an outboard “Watch Dog Timer” (WDT) module driven by the variable pitch control’s main processor. 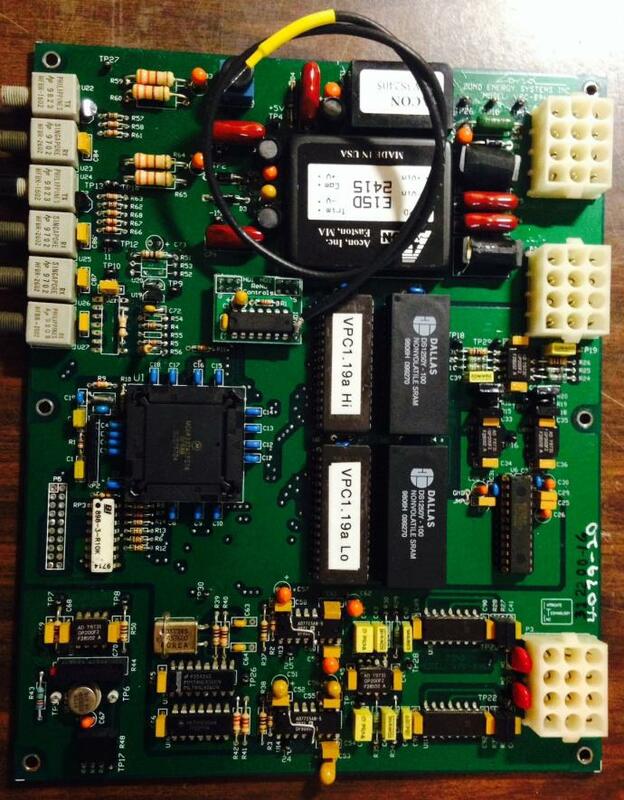 The WDT board will reset the variable pitch controller’s main processor. This process will then reestablish communication between the variable pitch controller and the down-tower controller and thereby restoring proper turbine operation. The Watch Dog Timer (WDT) is divided into two parts, a board mounted interface circuit and a DIN rail-mounted Watch Dog Timer board. Additionally, new software is provided to enable this operation on the variable pitch controller itself. The combination of these changes has proven very effective in keeping turbines from long hours of non-operation during high lightning activity events. The WDT board also provides a second output that can be used to signal the turbine that a fault has occurred by tripping the brake wear sensor output. In the last case, this will require that the wind park SCADA system be used to bring the turbine back on line, but assures that an event occurring during high winds will not result in an over-speed condition. It also prevents any visit by site technicians as in the past. 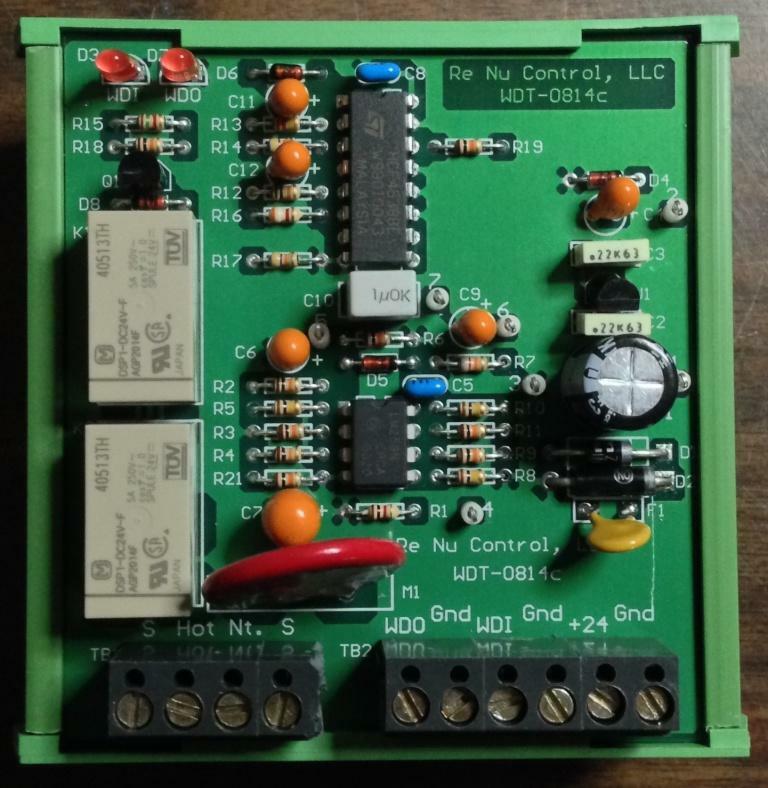 A picture of the external Watch Dog Timer board mounted in its DIN rail enclosure is shown in Figure 1.0. Connections between this board and the modified Variable Pitch Controller are simple and straightforward. This product increases the availability of the Z750 turbines by providing a solution to the hang-up problems and its resultant loss of communications during periods of high lightning activity.